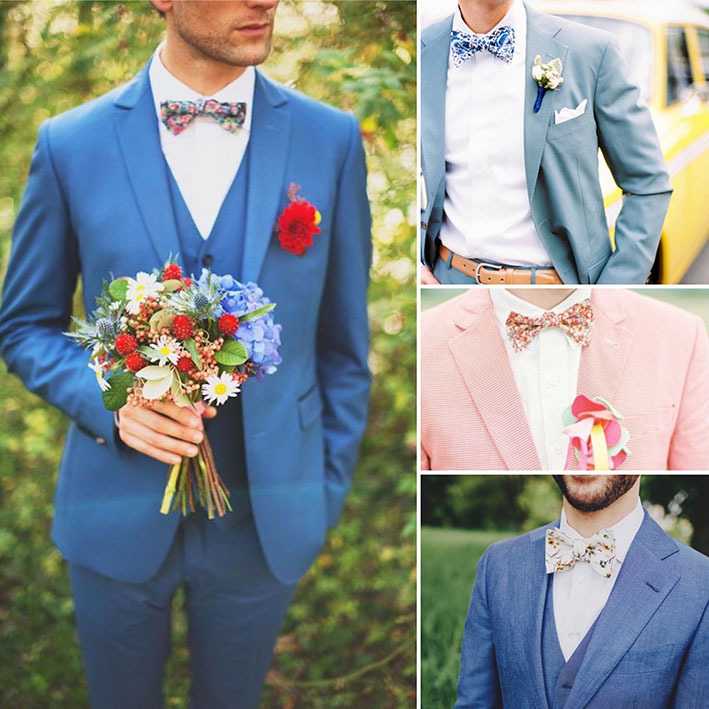 It is not a secret that bow ties are trendy and stylish, becoming the groom´s star accesory. 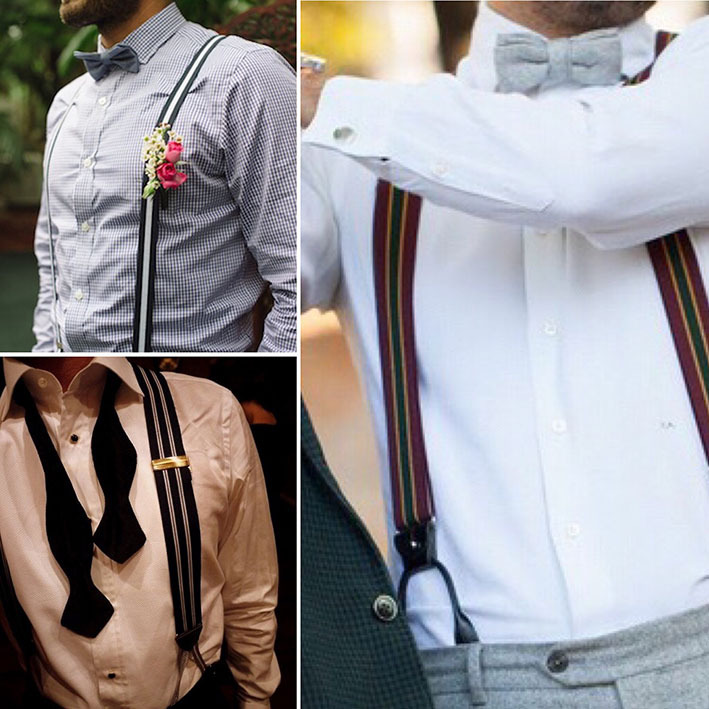 Don´t limit the bow tie to be black or white, or just with a tail coat or tuxedo. 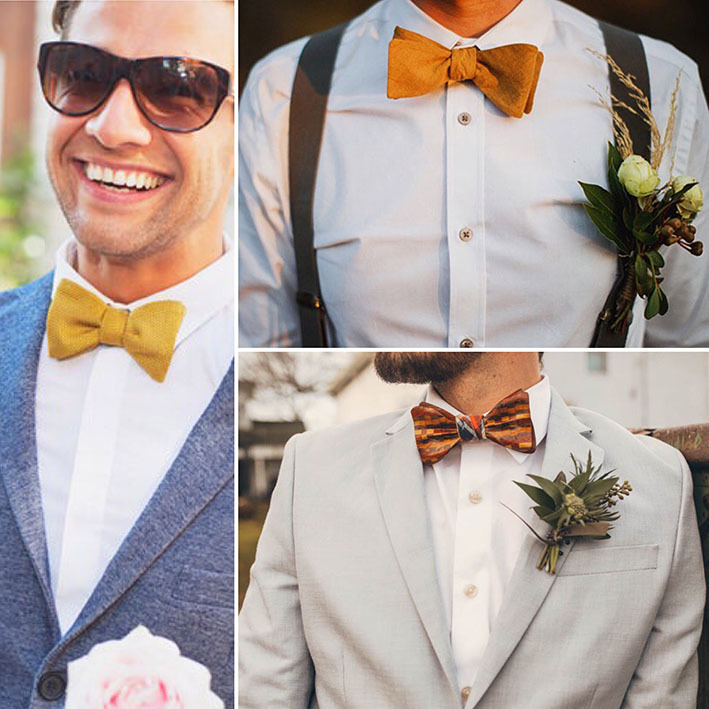 Bow tie could be your differentiate ítem. There are so many colors that may look great.Break away from black and turn to the louder colors. And what about the fabric? They could be cotton, silk, linen, velvet, tafeta … and prints? 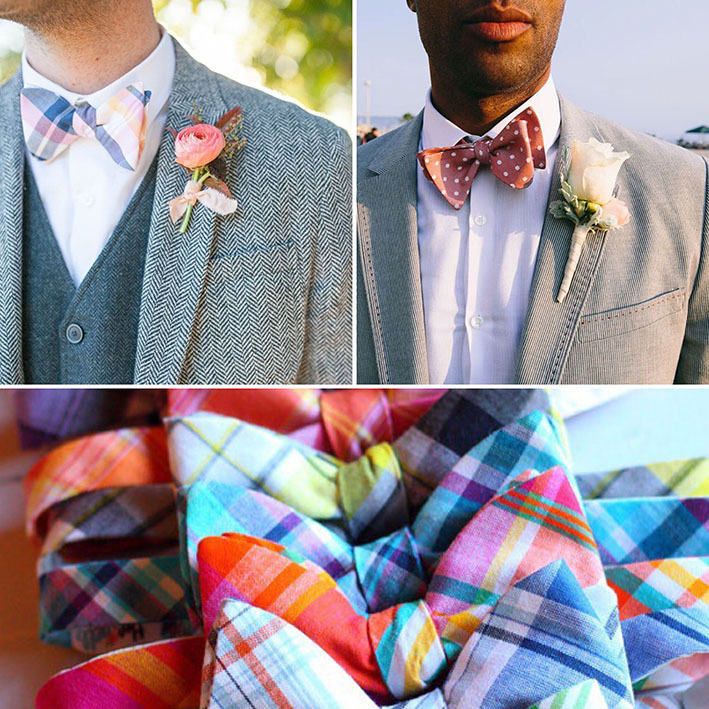 geometric, plaid, dots, flowers …. 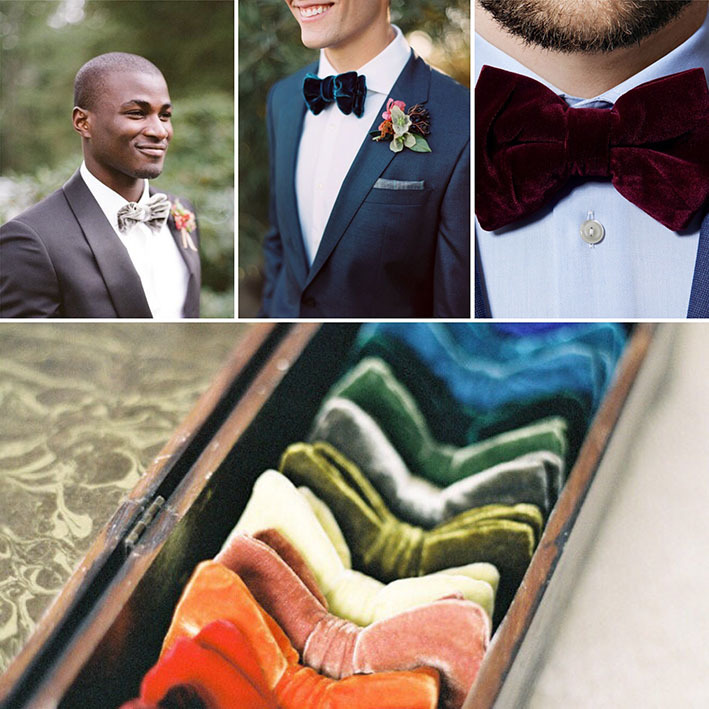 Bow tie reborn for those special moments, adding a touch of carácter to your groom´s outfit Be Different !! 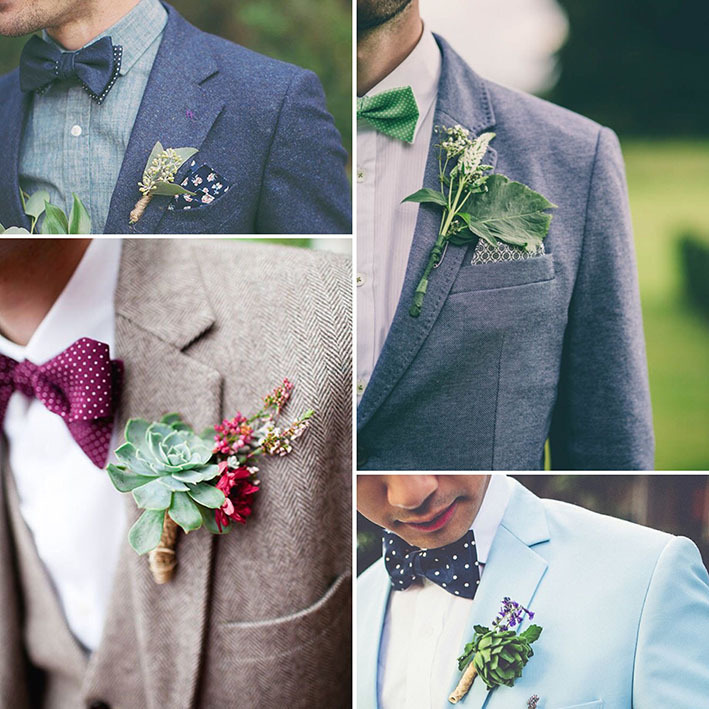 Are you going to tie one? Get inspired !!! Photos: Alexander Loosle, Neil Jackson, Corina V. and Susie Baird. 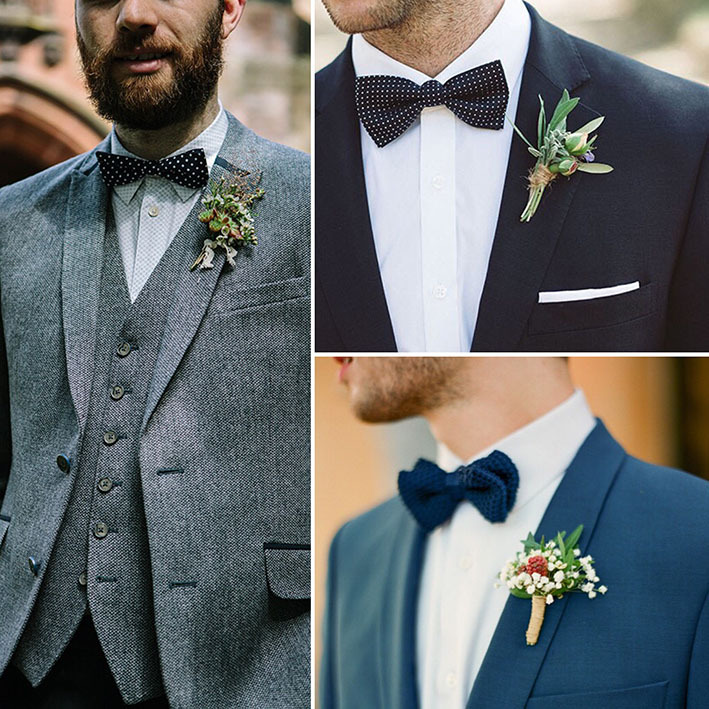 Photos: Bluespark Phtography, via suburbanmen.com and Bespoke Dudes.